Recently, Sanya police have launched citywide campaign against drunk driving in order to increase public safety ahead of the approaching Spring Festival, reported the 0898.net. During the campaign, traffic police will focus on city’s key streets as well as roadsides to inspect drunk driving vehicles and motorcycles. 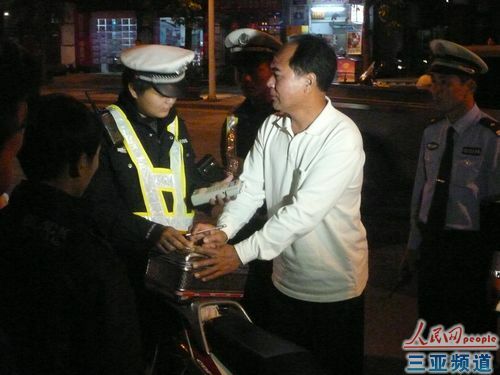 On the evening of Dec.18, two drivers were caught in combination with drunk driving. A driver with a car number plate of DQ111X was called to accept legal punishment as he run away when the traffic police tried to stop it to make a drink driving test.